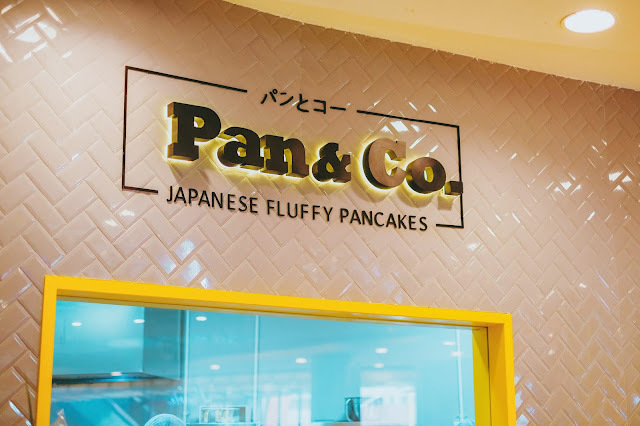 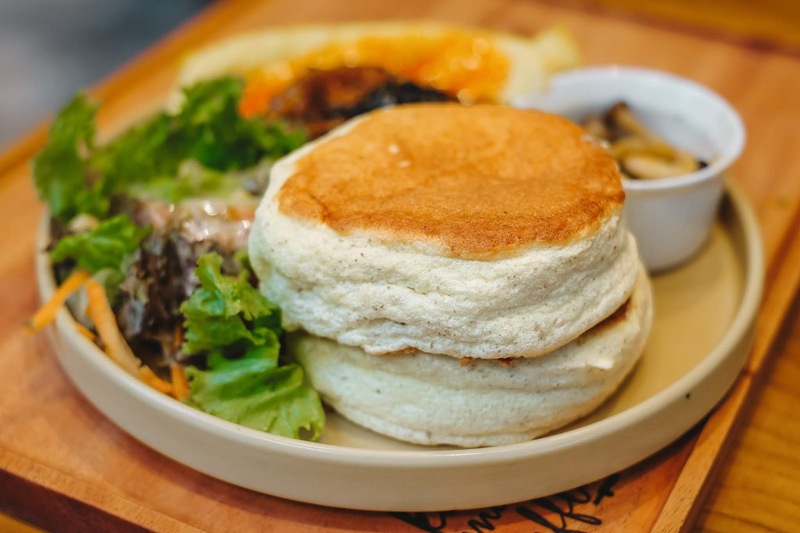 One of the most happening food trend at the very moment is Japanese pancakes, more and more brands start bringing this menu into their line-up and one of them is Pan & Co, a new cafe specializes in serving Japanese fluffy pancakes and they just recently opened in Mal Kelapa Gading! 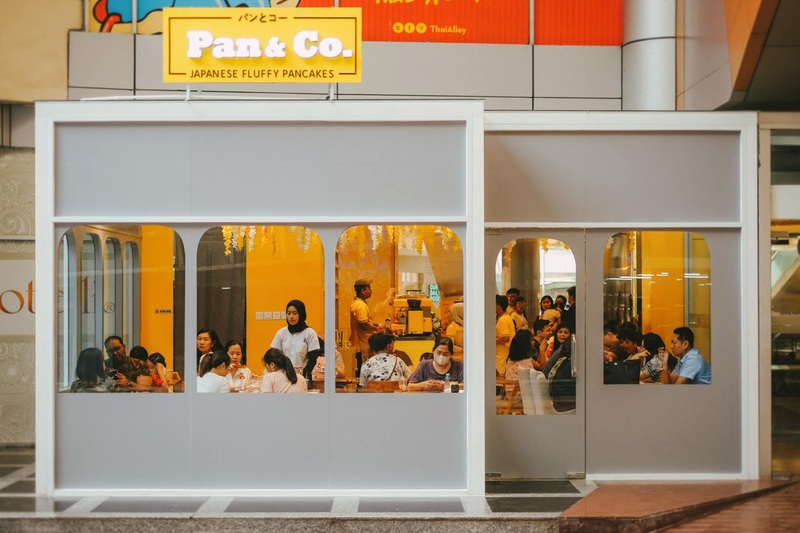 This happens to be their very first outlet and in case you wonder from the branding and such, this is a local brand, but they do get inspired by Japanese design and implemented that on their concept, branding and food! 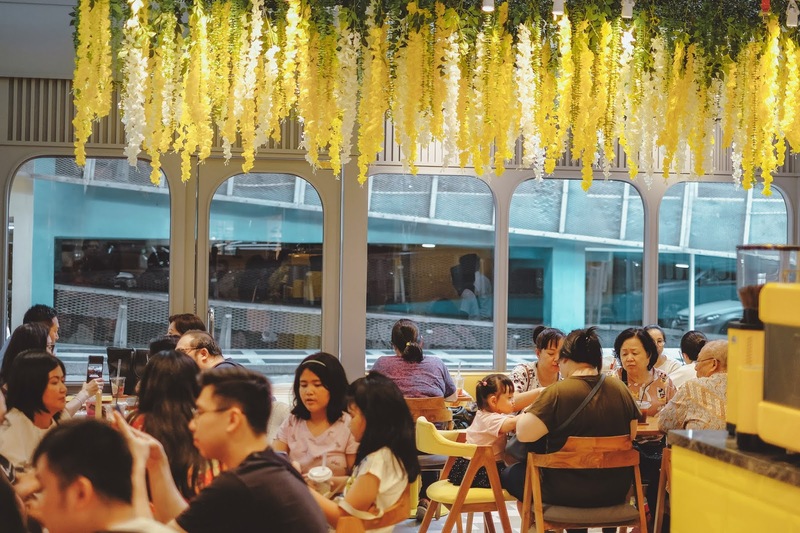 If you love the color yellow then you might love this place, it POPS, bright, fun and just in time when the crowd gets packed, the vibe just feels even more enhances. Pan & Co is located at Mal Kelapa Gading 2 next to EZO Cheesecake, you can make the entrance via mall or the connecting path from the parking building. 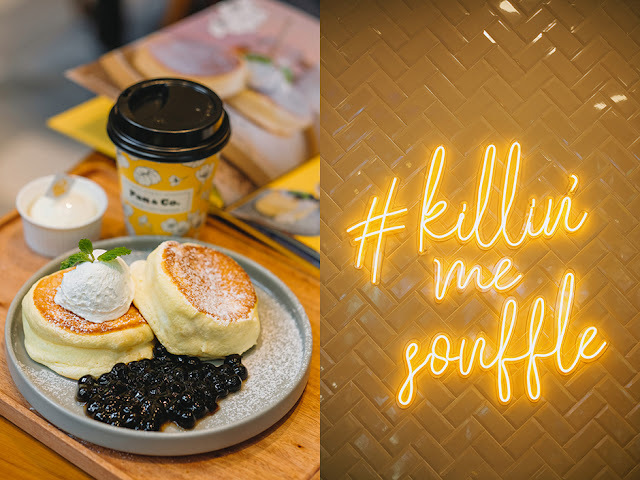 The queue was pretty long at the time of my visit (around 1 PM) and there were about 5 queues ahead of me, such a usual phenomenon when it comes to new and hip places opening in town! 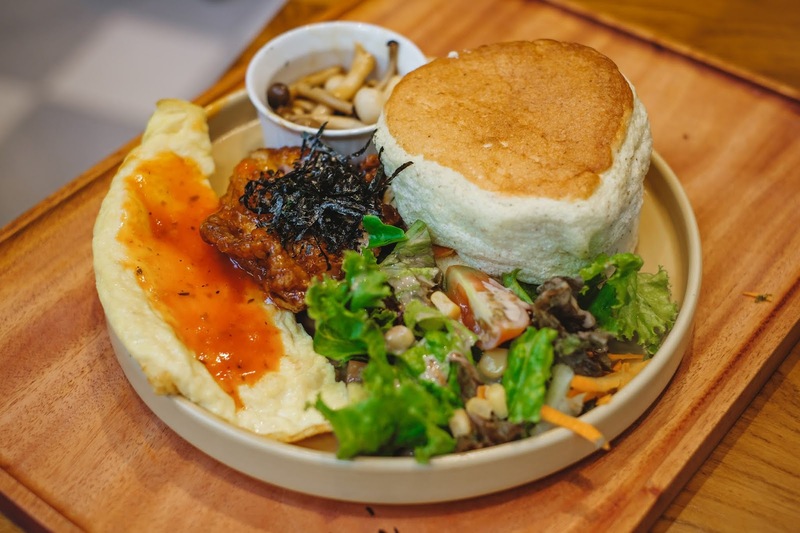 As I told you earlier, Pan & Co emphasizes their Japanese fluffy pancakes as the main star, but they also have various non pancake menus like toasts, light bites, salads and bento, all that with decent line up of curated drinks! 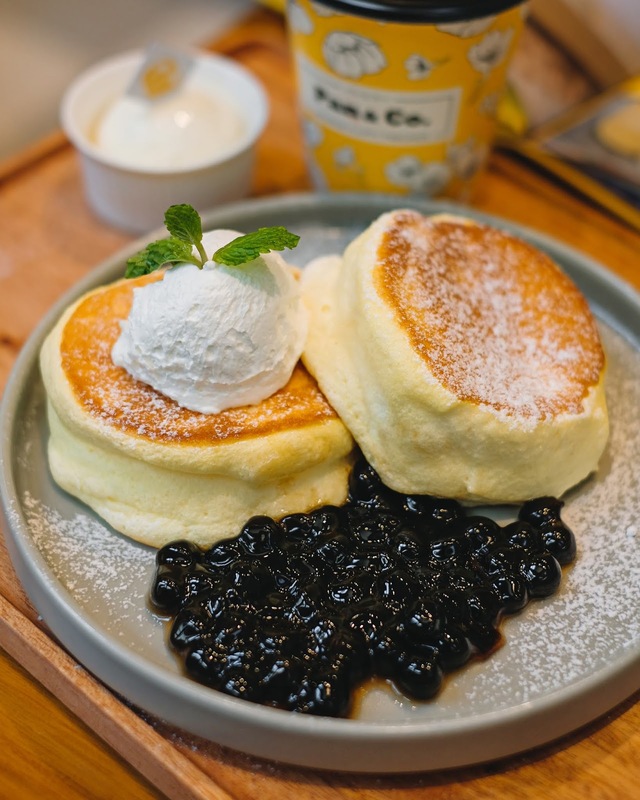 I am fully aware that the pancakes will take some time to make, but I notice not everyone are well prepared for that (or care), but yes, it will take at least 15-20 minutes to cook your pancakes because that's just how it goes, it needs more patience and requires more attention to cook this kind of pancake! 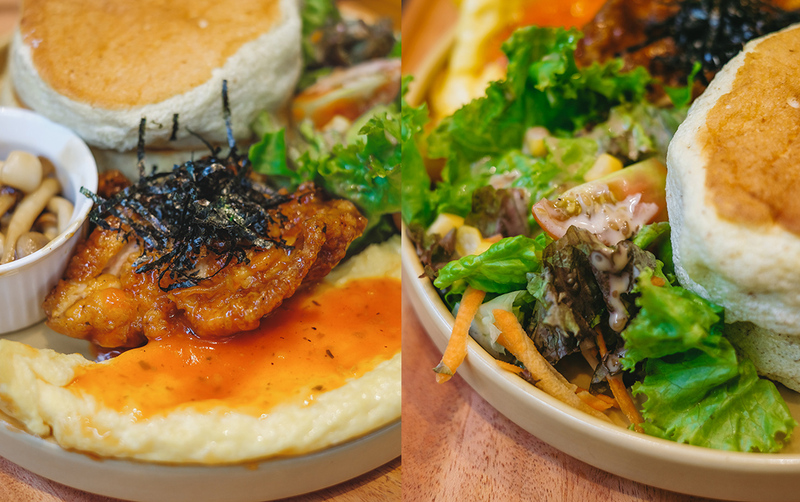 Enough yakking, let's just dive into what they have in store!!! This is simply MUST TRY! 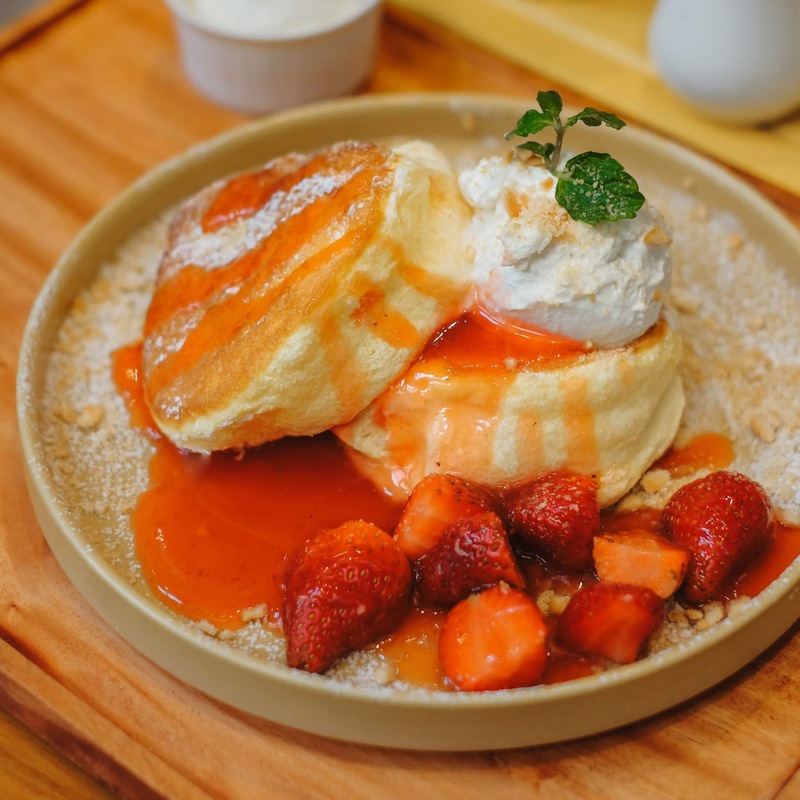 Not only that it comes in this gorgeous presentation and color, but taste wise, this is also very good and refreshing! 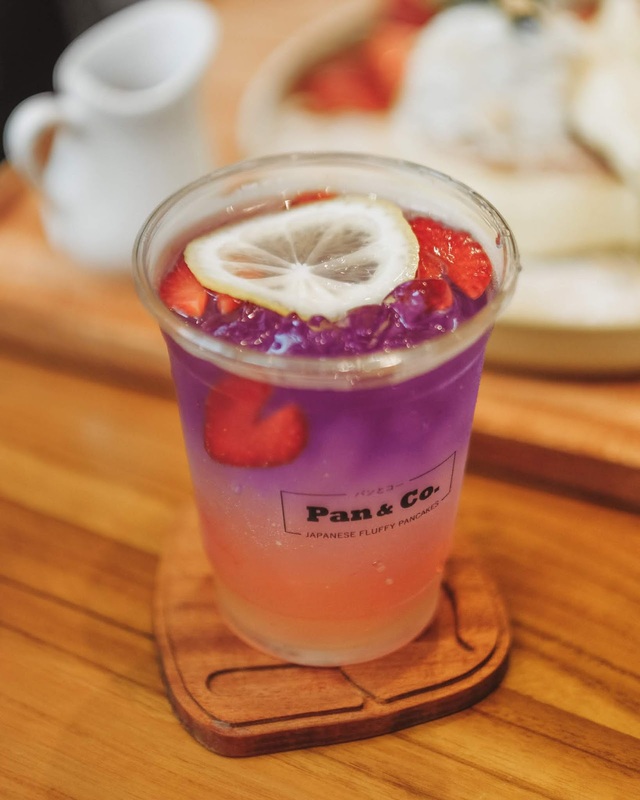 Passionfruit base with blue pea tea soda, lemon and strawberries! 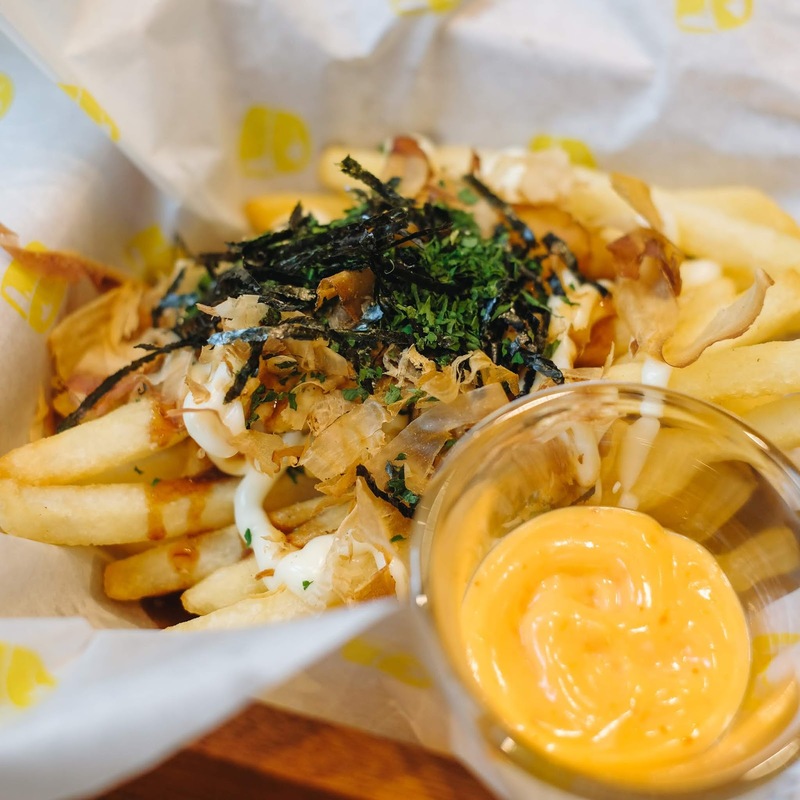 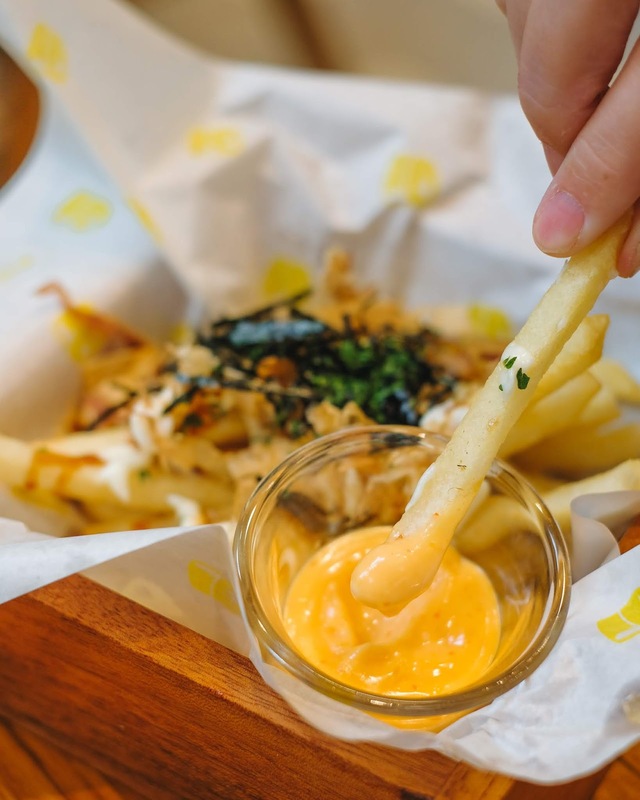 The light bite that you can munch on while waiting for your pancakes to be done, simple but pleasant: moist shoestring fries (not the super dry and crunchy type) topped with mayonnaise, bonito flakes, nori and served with this tasty takoyaki sauce, the takoyaki sauce has this hint of spicy that I found enjoyable! 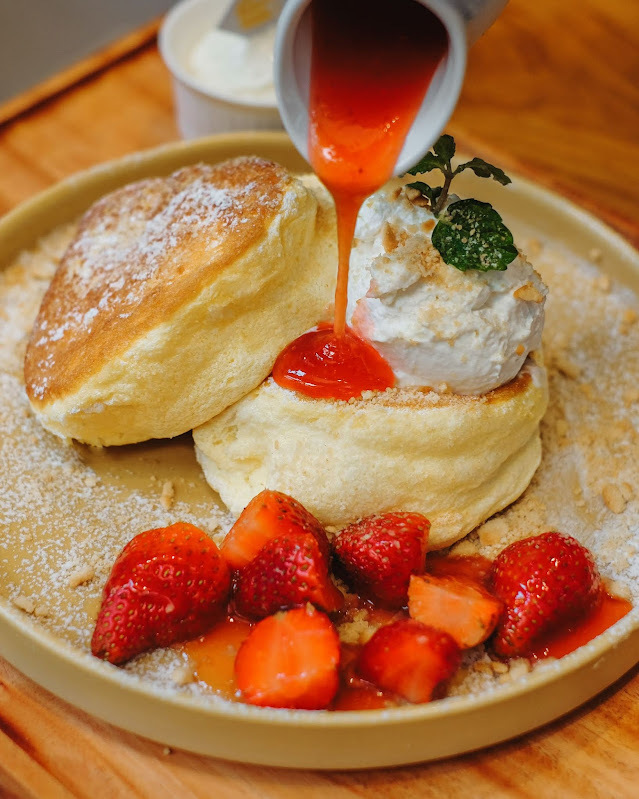 Two pieces of Japanese fluffy pancakes with homemade honey whipped cream, fresh strawberries, strawberry jam and ice cream on the side! The moment I knew I love their pancakes was when I realized their pancakes were FRESH without this overpowering eggy/fishy smell! 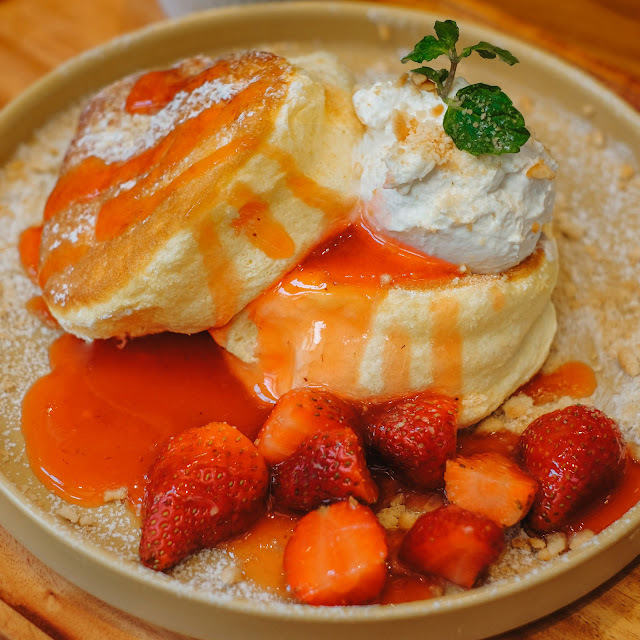 Texture wise, indeed super fluffy but still pretty much cake-like texture, the pancakes are also not sweet (if not, perfect sweetness) so that when you have them together with the toppings, everything feels balance! The strawberry jam is made fresh and it's refreshing, I don't know if they imported the strawberries, but they were also fresh, overall almost like this strawberry compote! 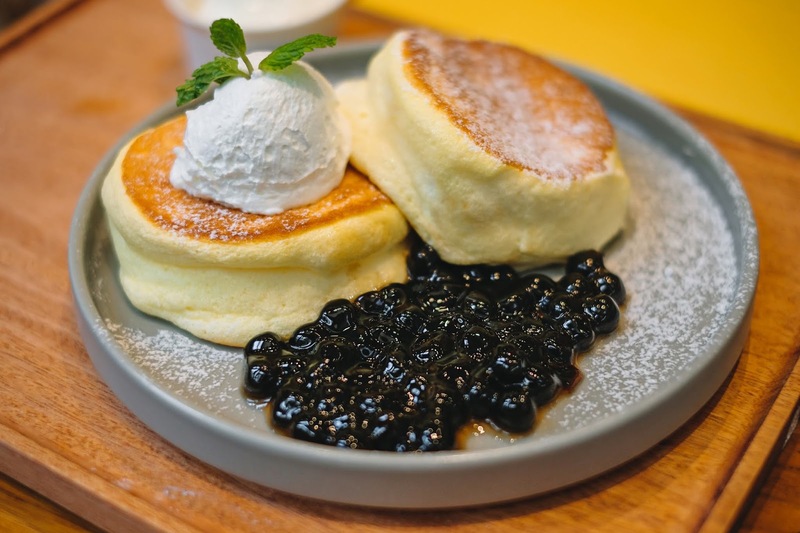 When Japanese pancake meets boba! I found the texture of the pancake the same (I understand they come from the same kitchen but keep reading) and this one's actually very simple: pancakes with cream cheese topping and chewy boba (black pearls), and oh, served with vanilla ice cream too, but really I barely touched the ice cream, I even forgot it's there and I can live without it. The cream cheese has got to be the highlight for me as I love the mix of sweet and salty flavor without being overly cheesy in the same time! 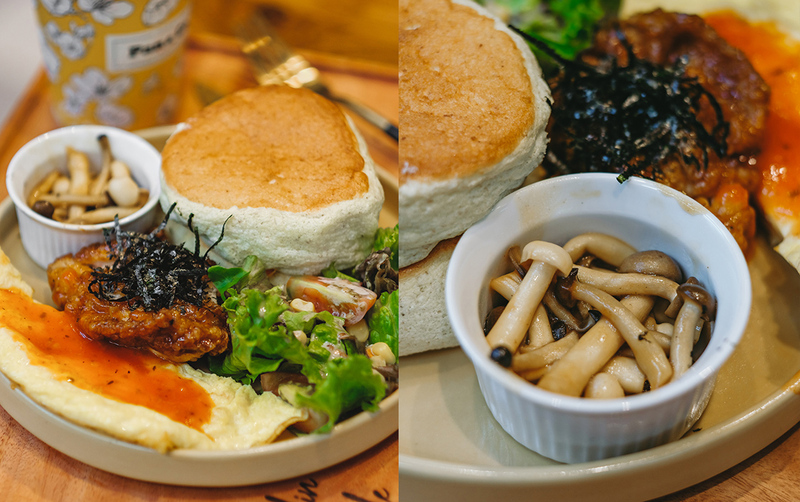 The bobas are moist and chewy, very enjoyable! 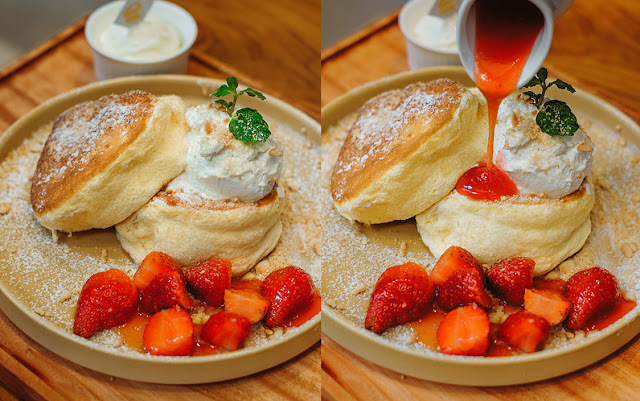 If you ask me, I still prefer the Strawberry Miss You way better! 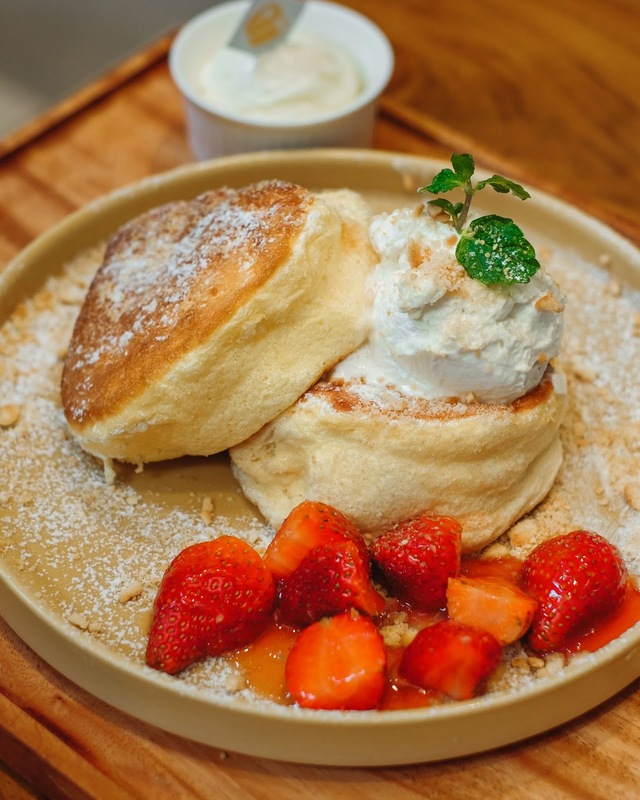 The reason why I said the texture of the pancake might be different is because they are! 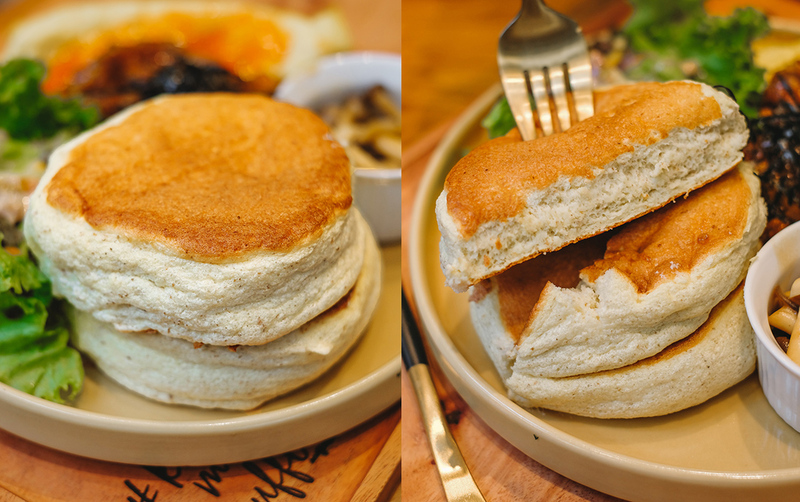 For savory menus, the wheat pancakes are used, hence the drier texture, more cakey, but still pretty much moist! I think the fact that the pancake is drier & more airy is the reason why I love this dish, because when you have it together with the savories, they match better! Anyway it's just my opinion, but since the toppings are already quite fulfilling, I found one pancake should do better for me, but when they give you two instead of one maybe it's just best to be grateful LOL! 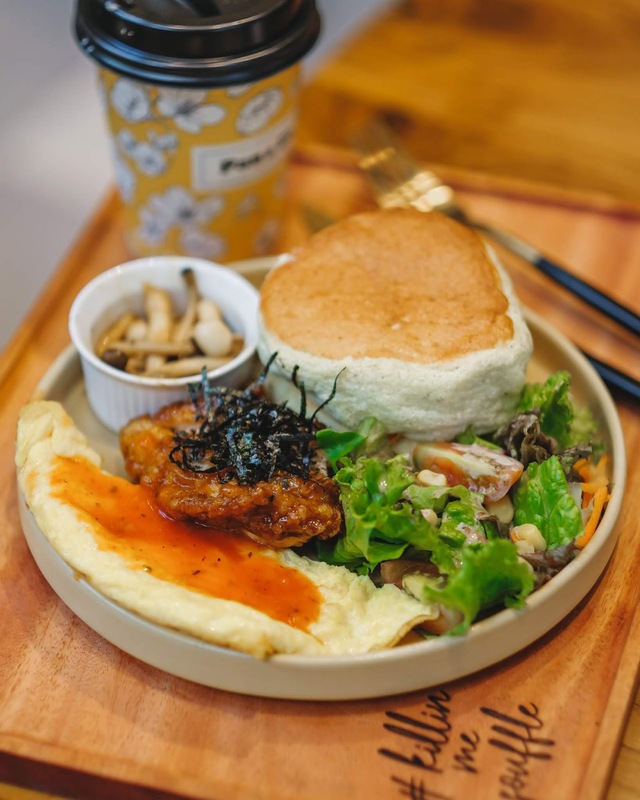 Pancake with egg, teriyaki chicken, sauteed mushroom and salad, my problem with this is probably the lack of sauce...and the egg! 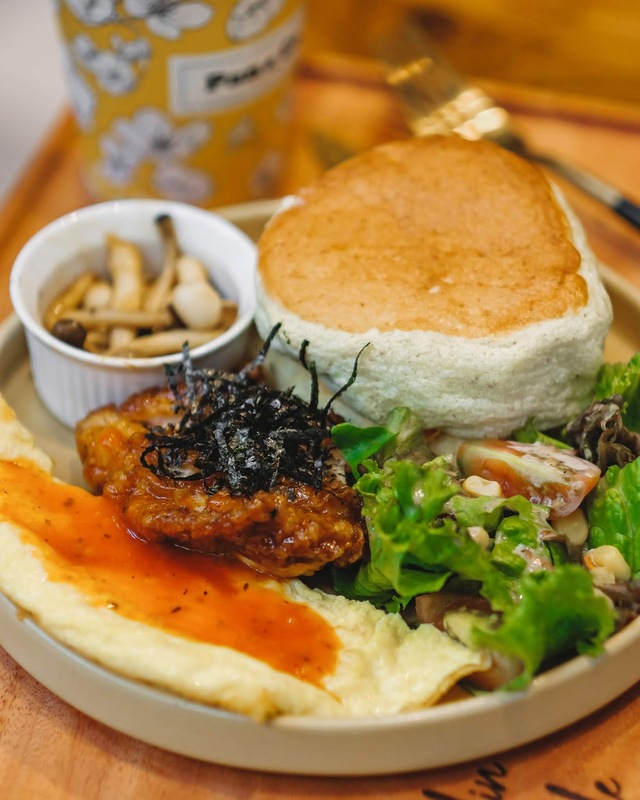 I expected the fluffy saltier egg but it was plain, the teriyaki chicken is seasoned very well tho, the sauteed mushroom didn't do much, oh, I think sausage would do very well with the pancake! 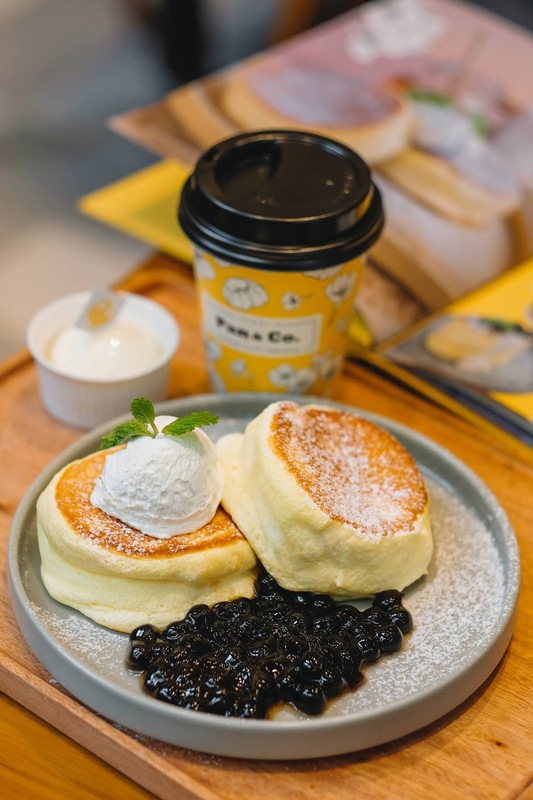 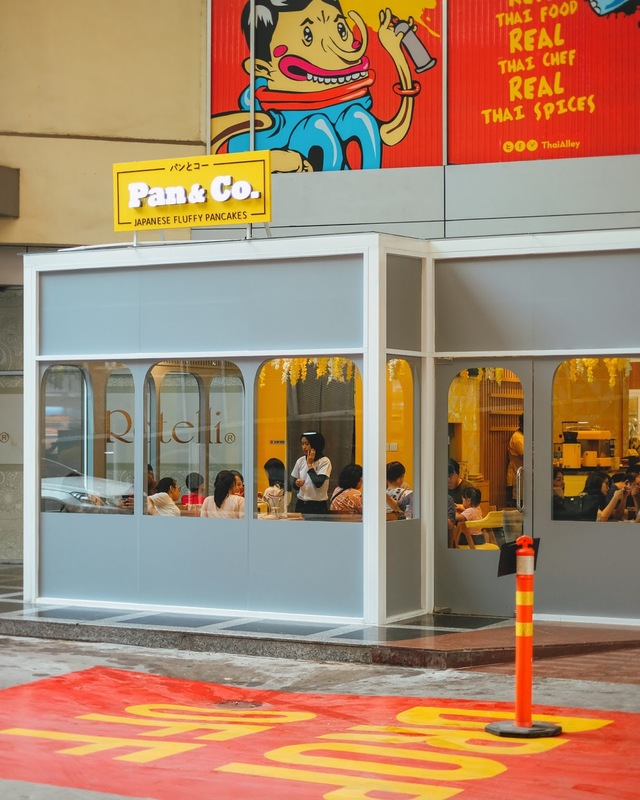 At the very moment, Pan & Co's pancakes are legit, the best one in town, it's close to the Japan's very own Happy Pancake (only I found Happy Pancake's more golden in terms of color). 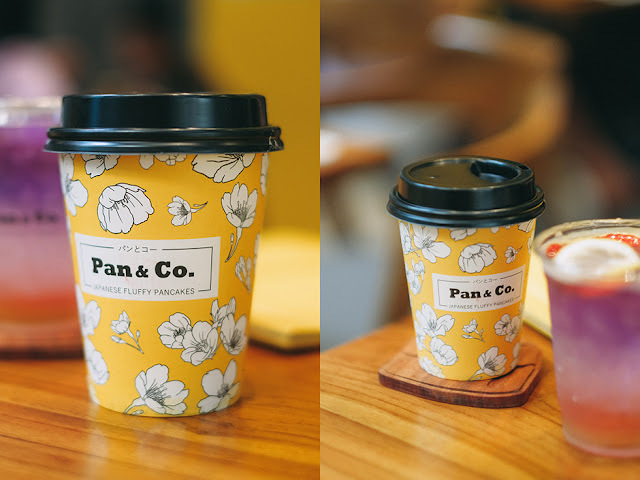 I hope they keep up with the quality!